The event is a rare opportunity for music-lovers to witness his genius and artistry and offers the bonus of watching Ashkenazy perform with his two sons, clarinetist Vovka and pianist Dimitri. To those who know their classical music, Vladimir Ashkenazy’s name would bring on a loud pealing of bells as well as a wave of awe. He’s a giant in the classical-music world, a Grammy Award winner for his recordings, who built an illustrious career as a pianist and later as a conductor of the best orchestras of the world. He is formerly chief conductor of the Czech Philharmonic (1998-2003), and music director of NHK Symphony Orchestra in Tokyo (2004-2007). In January 2009, he became principal conductor and artistic advisor to the Sydney Symphony Orchestra. Ashkenazy’s Manila engagement is part of the third Asean event series, “Bridges-Dialogues Towards a Culture for Peace,” facilitated by the International Peace Foundation. Both Ashkenazy sons are accomplished musicians like their father. Both have performed extensively around the world. Dimitri has appeared at the Royal Festival Hall in London with the Royal Philharmonic, and at the Hollywood Bowl with the Deutsches Symphonie Orchester Berlin. Vovka Ashkenazy’s debut was with the London Symphony performing Tchaikovsky’s First Piano Concert. Did he influence his sons to become musicians? 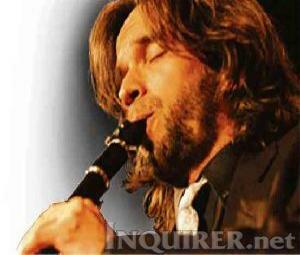 For the two younger musicians, it will be a first in the Philippines. Call the CCP Music Division at 832-1125 loc. 1605 or the CCP Box Office at 832-1125 local 1409 and 832-3704.